Armed with her spectacular hairdo, a chubby face and infectious smile, Dawn French, a British writer, actress, comedian, and presenter has endeared herself to millions of fans all over the world. She can be described as the quintessential lady comedian whose demeanor and looks make people laugh even before she opens her mouth. Growing up, Dawn was never pretty in a conventional way but her confidence was constantly boosted by her dad who never missed an opportunity to call her beautiful. 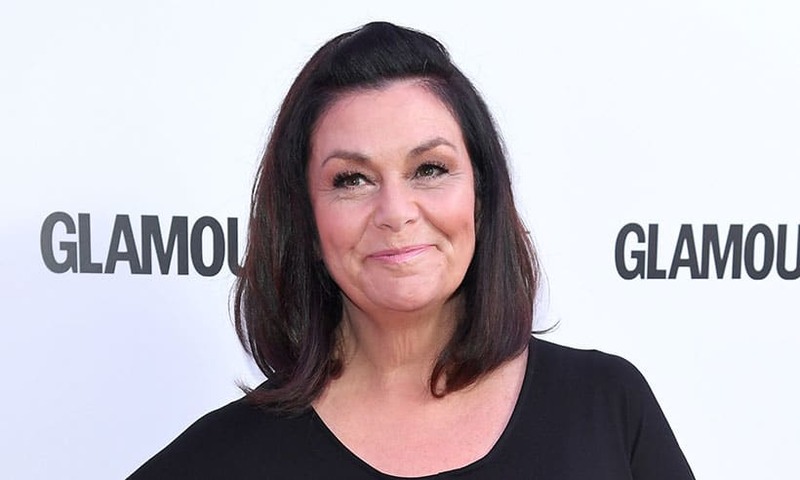 Dawn French was born into the family of a Royal Air Force employee and received the best of education which exposed her to several extra-curricular activities. She is naturally endowed with a witty sense of humor and was very loud and cocky during her teenage years. She enrolled in the Central School of Speech and Drama because of her love for the theater and debate. Presently, Dawn is popular as part of the comic duo – French and Saunders which she co-founded with her college friend Jennifer Saunders. The friendship between the two seemed highly unlikely as they hated each other on sight, but unknown to them, they have been predestined to work together by fate and providence. They eventually joined forces to emerge as one of the most entertaining female comic duos of our time. Apart from her career as a comedian, Dawn French is also an accomplished writer, Dear Fatty is a bestselling autobiography penned by her. She is equally known for playing a starring role in the BBC sitcom The Vicar of Dibley where she portrayed the character of Geraldine Granger. She has bagged a few prestigious awards and nominations for her effort in the entertainment industry, Dawn has a total of seven BAFTA TV Awards nominations to her credit and won a BAFTA Fellowship along with her partner Jennifer. She also bagged British Comedy Awards for her effort in Vicar of Dibley. In 2002 and 2003, she was declared the winner of the honorary Golden Rose of Montreux award and named the most admired lady celeb in the UK in a 2006 pool conducted with a population of 4,000. Woman’s Hour on BBC Radio 4 assessed her as one the 100 most powerful ladies in Britain in February 2013. She became the Chancellor of Falmouth University in September 2014. Dawn and her first husband Lenny Henry met on the alternative comedy circuit, they tied the nuptials in Covent Garden, London on the 20th of October 1984. The couple adopted a female child named Billie, Dawn claims that her daughter knows she is not her biological offspring. Her answer to the question of how she would feel if her daughter wanted to find out her roots was that she would support her with whatever she wants to do once she turns 18, but she expressed worry about a third party making the decision for her. There was a time the female comedian was forced to take out an injunction when a biographer almost unraveled the identity of the biological mother of her daughter. Henry and Dawn’s 25 years of marriage came to an end in 2010 through an amicable divorce which was announced on the 6th of April 2010. After her divorce from her first husband, she started a romantic relationship with Mark Bignell – a charity worker in 2011. Their relationship culminated in a marriage on the 20th of April 2013 but was reported on the 22nd of April 2013. The duo currently lives in a 40-room 19th-century mansion located in Fowey, Cornwall overlooking Readymoney Cove and neighboring Poldridmouth Cove. During her days in college, she had a fiancé who was in the Royal Navy, but they broke up before her graduation. According to the available records, Dawn is rather on the short side. She stands at a height of 5 feet 0 inch and weighs as much as 74 kg which is a bit big for her height. Her general body measurement is listed as 37-26-34. She comes complete with hazel eyes and dark brown hair. It was in the news that the comedian had to undergo a hysterectomy operation but not before she lost over a 100 lb weight. She developed a deep interest in aiding big sized ladies with attractive apparel which informed her co-authorship of a couple of books on Knitting titled Great Big Knits and Big Knits. She is also the founder of a clothing store that sells affordable and fashionable wears.